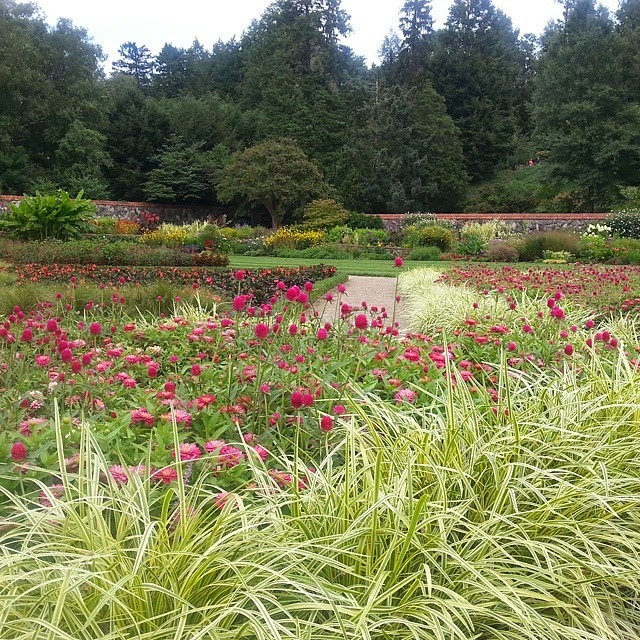 We know that most people who visit Biltmore Estate in Asheville, NC, can’t wait to go through the 175,000 square-foot, fully furnished and ornate, Downton Abbey-esque house, but we tend to recommend heading outdoors at Biltmore, especially in late summer/early fall. 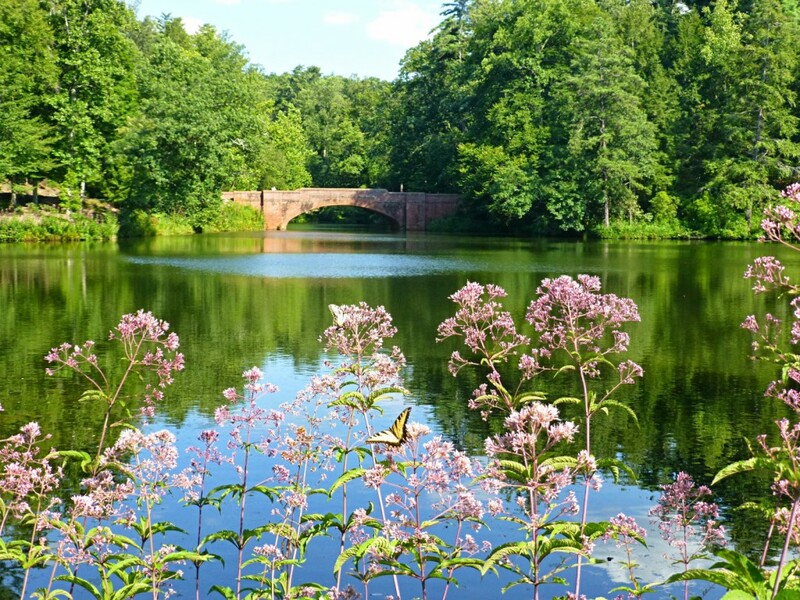 With thousands of acres of both cultivated gardens and pathways through naturalized park-like outdoor spaces designed by New York’s Central Park and D.C.’s Capitol Ground designer Frederick Law Olmsted, Biltmore has a little something for every gardener and garden lover. To make the most of your outdoor stroll around Biltmore, start at the house and walk through the Italian Garden, which are three water pool gardens that really show their stuff in late summer. If you are facing the house, the Italian Garden is to the left, below the South Terrace. 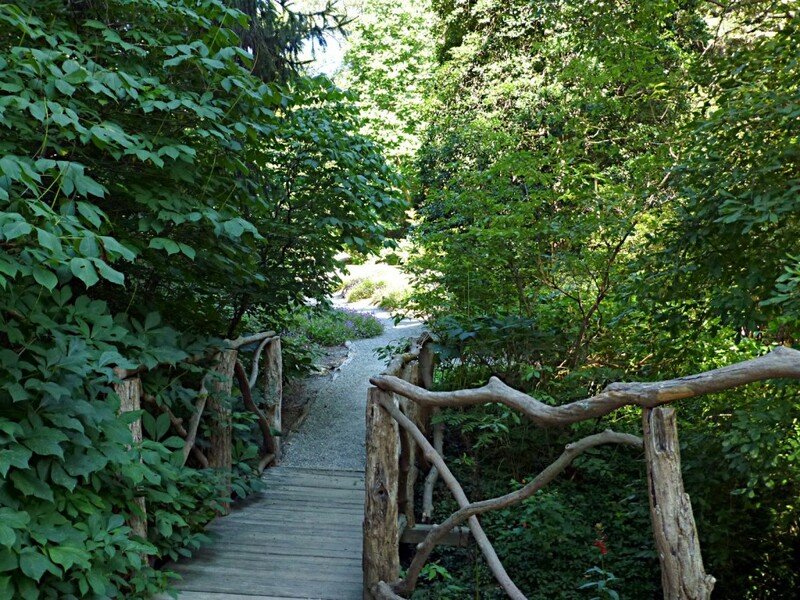 Then proceed along the Shrub Garden just beyond the Italian Garden, making your way on the path to your right to get to the stairs that lead down to the Walled Garden. The Walled Garden has four acres of formal flowerbeds with an grapevine-laden arbor leading down the middle. 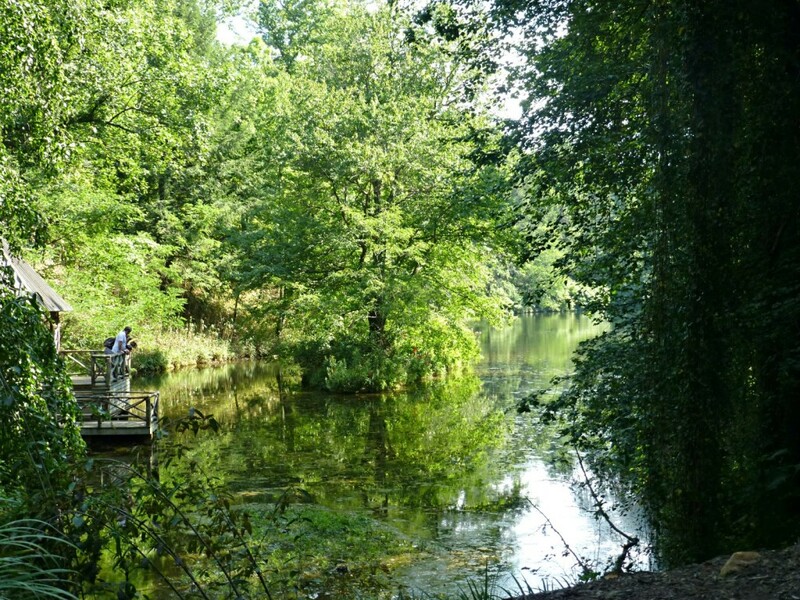 It looks divine in late summer! 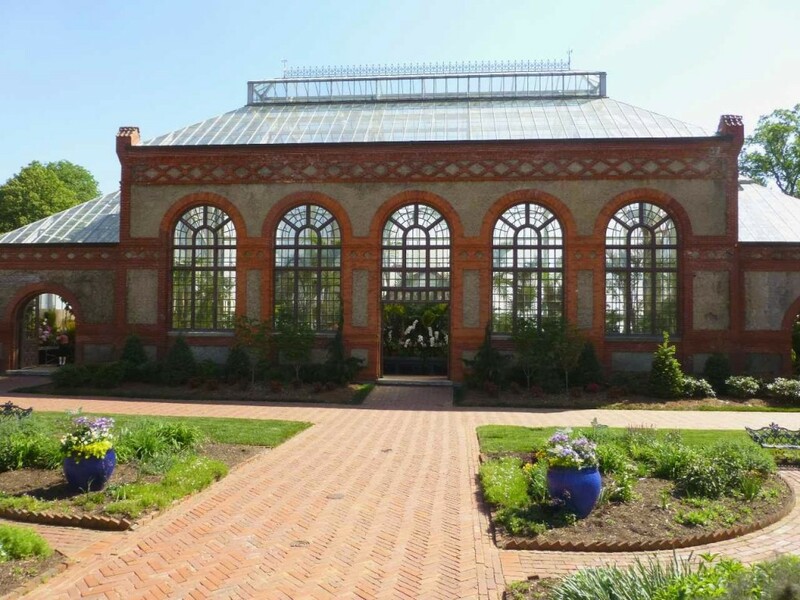 From here, you can head through the Walled Garden and through the adjacent rose garden, into the Conservatory (Brigette’s favorite place at Biltmore), which is a gigantic glassed-in building filled from floor to ceiling with amazing plants and trees year-round. 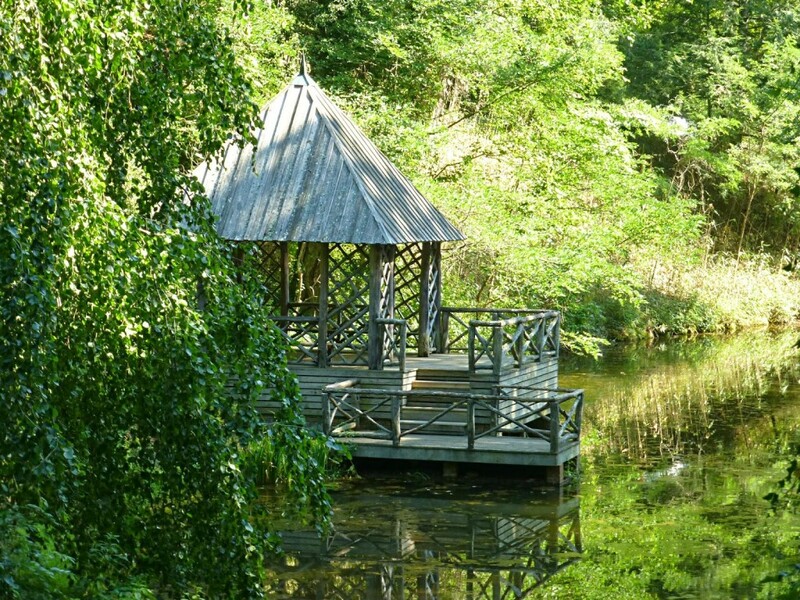 Once you get through the Conservatory, head to the left, go across the road and head down the stairs to the 15-acre Azalea Garden (gorgeous in springtime) and then on to the Bass Pond, about a third of mile away. 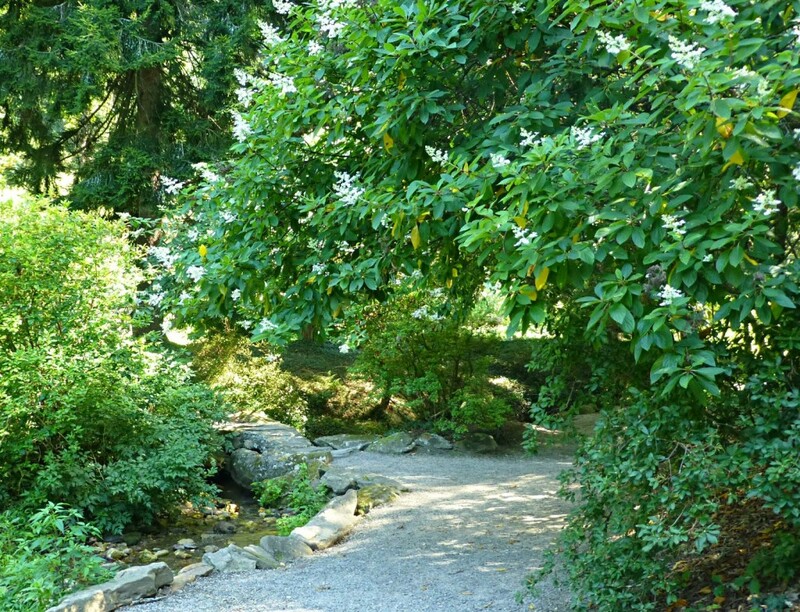 The trail system beyond the Azalea Garden is a criss-crossing set of paved nature trails that are great for bird watching and it’s also hard not to notice all the detail that has gone into the plantings along the pathways. 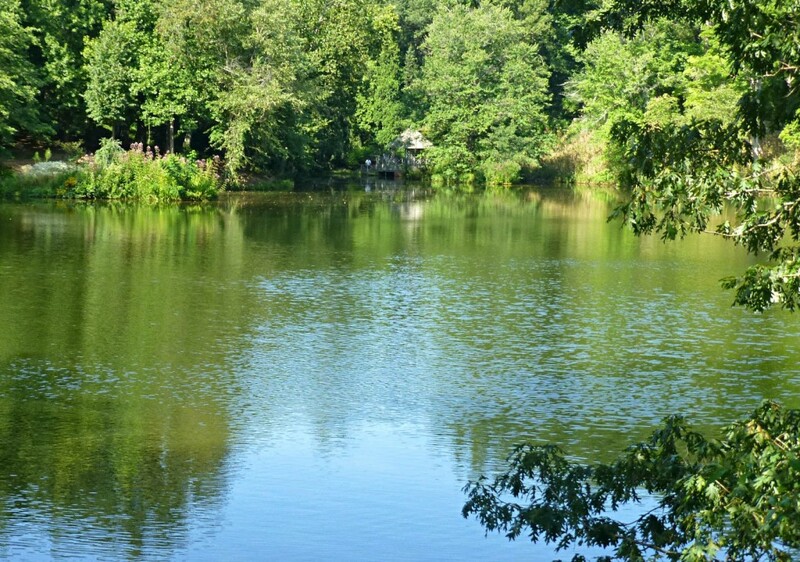 When you reach the Bass Pond, the first thing you’ll notice is the Boat House, which is a great spot for sitting and relaxing. 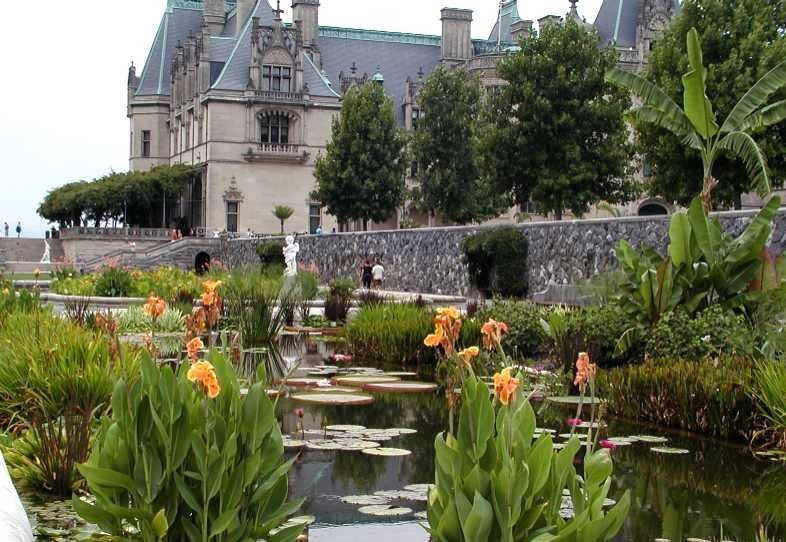 A helpful tip: Biltmore House sits at a higher elevation than the gardens, so when you walk through the gardens to the Bass Pond, keep in mind that it will be uphill all the way back. It’s not steep, it’s a gradual incline, but you will notice it. So be sure to wear comfortable shoes, and take it at a leisurely pace. 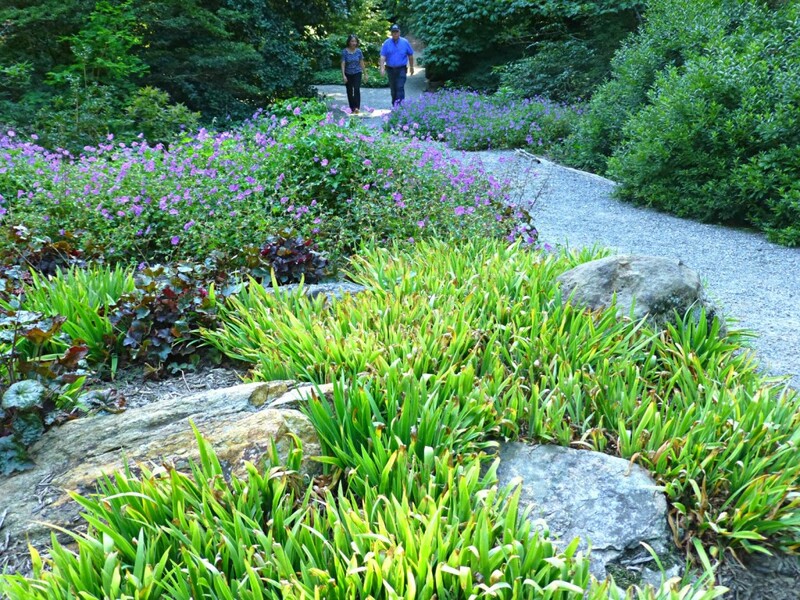 Another helpful tip: We recommend exploring the gardens in the morning or late afternoon. Even in late summer and fall, daytime temperatures in the afternoon can be pretty warm and many of Biltmore’s outdoor spaces are sunny. 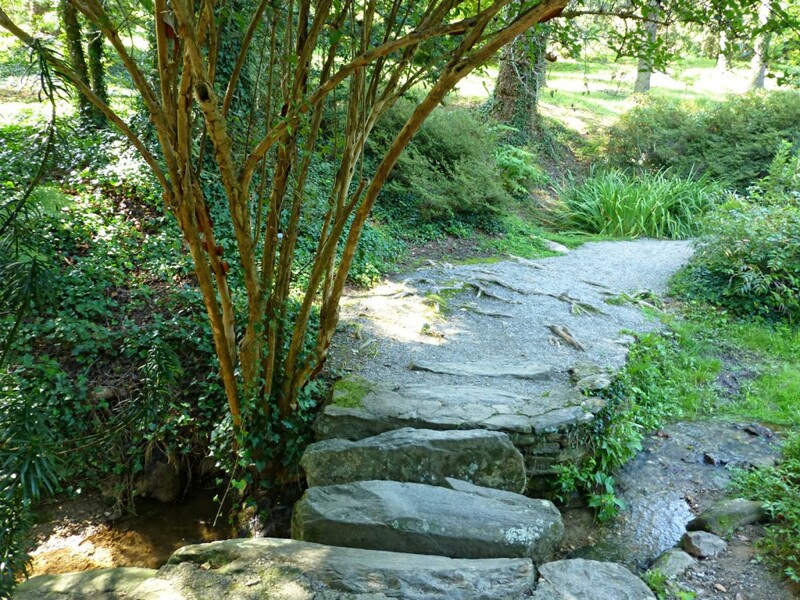 There are plenty of outdoor activities at Biltmore as well, including bike trails (you can rent bikes there), horseback riding, Segway tours, Land Rover School, shooting clays, fly fishing, rafting and kayaking, and more. Check www.biltmore.com/visit/things-to-do/outdoor-activities for details and remember that you can purchase tickets to Biltmore that are good for any day and the following day here at the Inn on Mill Creek B&B. This entry was posted in Uncategorized and tagged Asheville, Biltmore, flora and fauna, outdoors, Summer by Inn on Mill Creek. Bookmark the permalink.